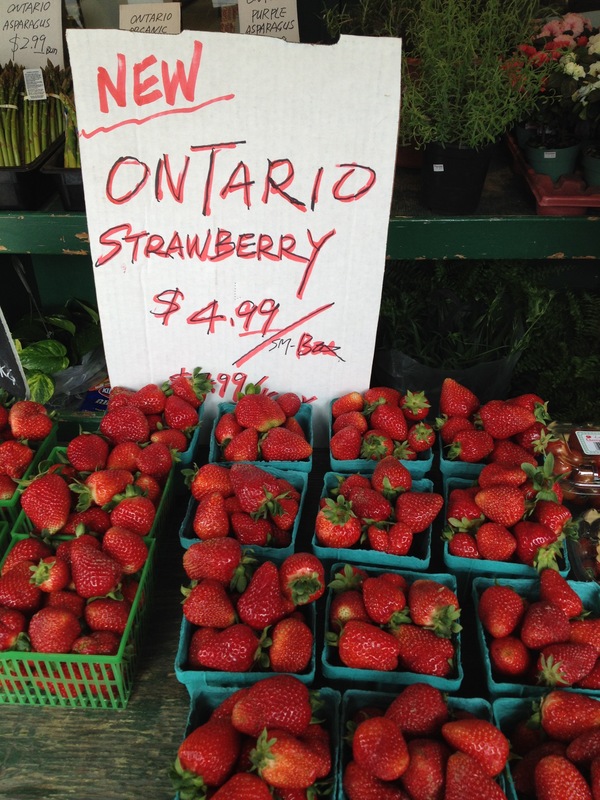 I was just visiting Toronto for my mother’s 81st birthday. 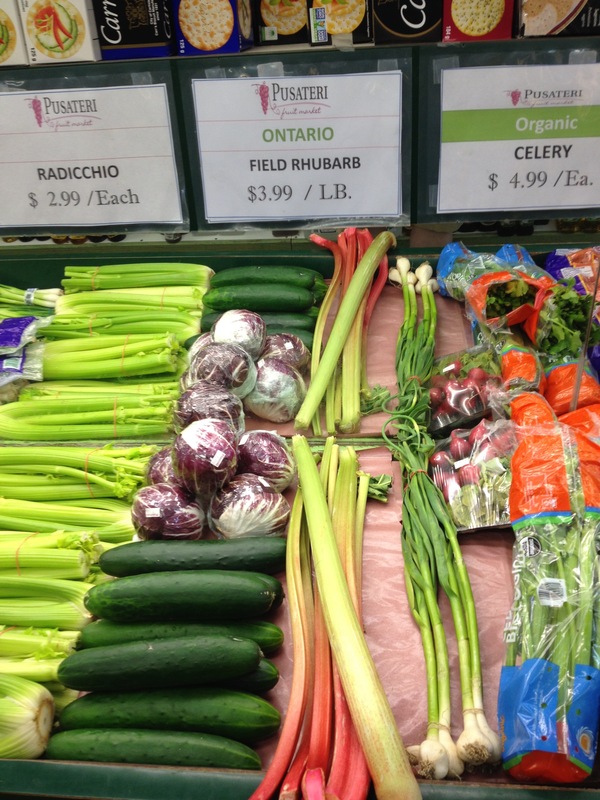 I’ve written extensively about food in Toronto, here, here and here. My mother lives in Hamilton which is an hour drive away from Toronto and is where I grew up. The Pagoda restaurant has been there forever and was one of my favorite places to eat growing up. It’s the place I first threw up in after lying about our age and getting drunk on beer for the first time with my friend Gordon. It was also my friend Nila and my regular place. In the working class, drab, landscape of industrial Hamilton this second floor Chinese restaurant was an exotic escape. I’m not sure what I would think of the food now, but back then it was just fine. 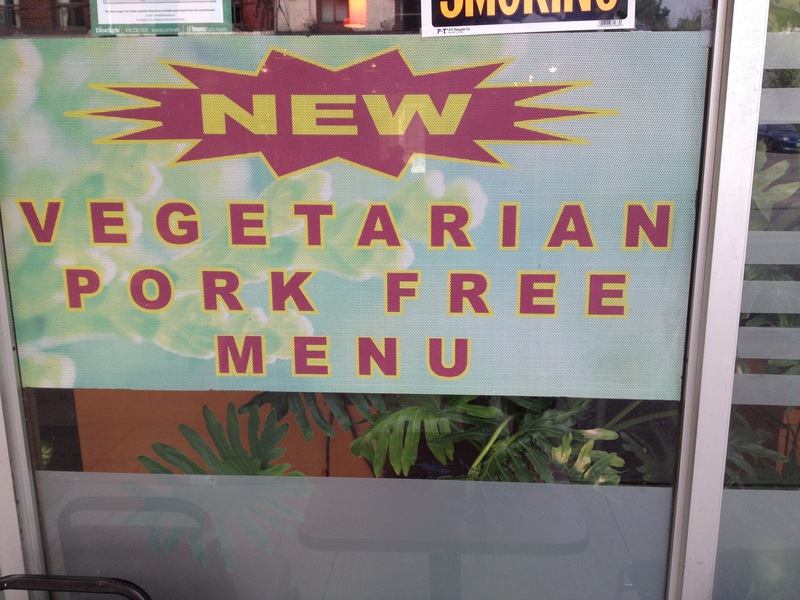 The sign is still there, but the restaurant has moved. I want that sign so badly. On the way to her birthday dinner my mother insisted we stop at Tim Horton’s donuts for a tea and a bite. She was little perturbed that our reservation was so late (6:30) so wanted a snack to hold her over (it was 5). 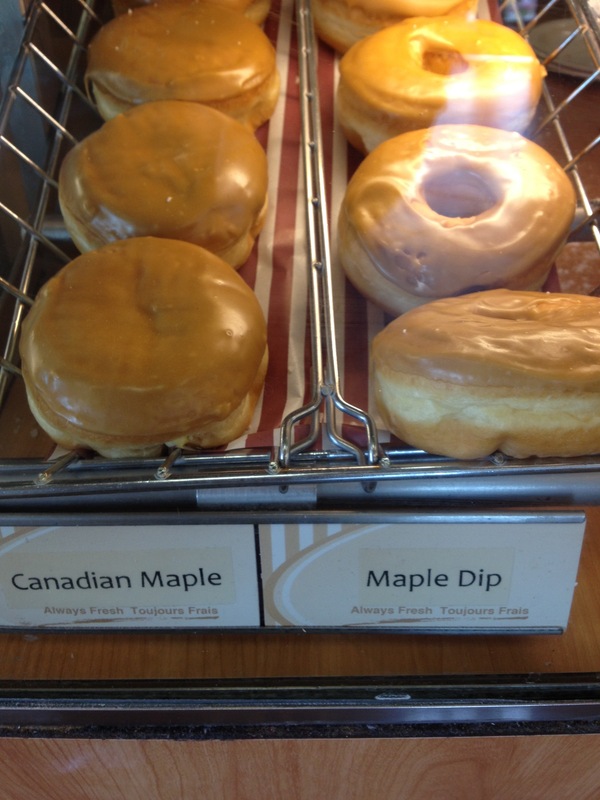 Maple Donuts at Tim Horton’s, it doesn’t get more Canadian. The first Tim Horton’s store was a few blocks away from where I grew up. Of course now it’s just another corporate multinational fast food chain. 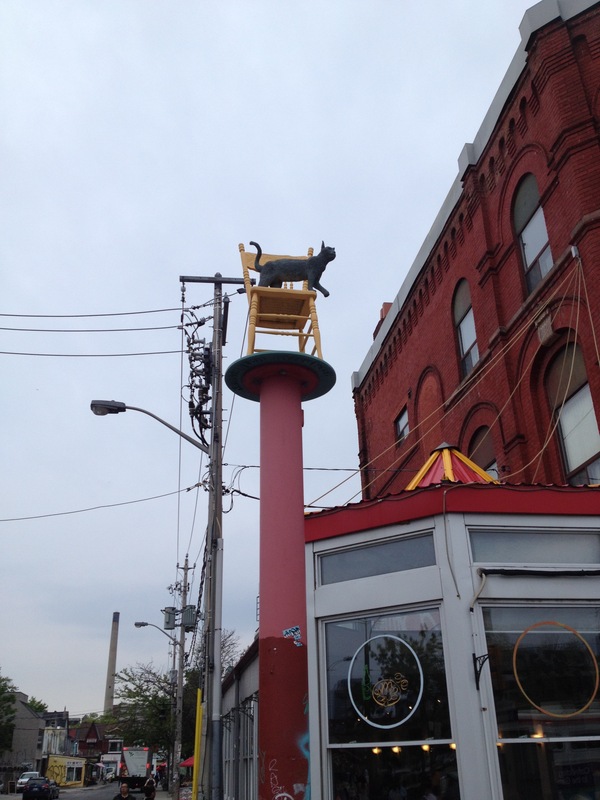 Us Hamiltonians still remember when Tim Hortons was that great donuts shop that opened up on Ottawa street…. all those years ago. 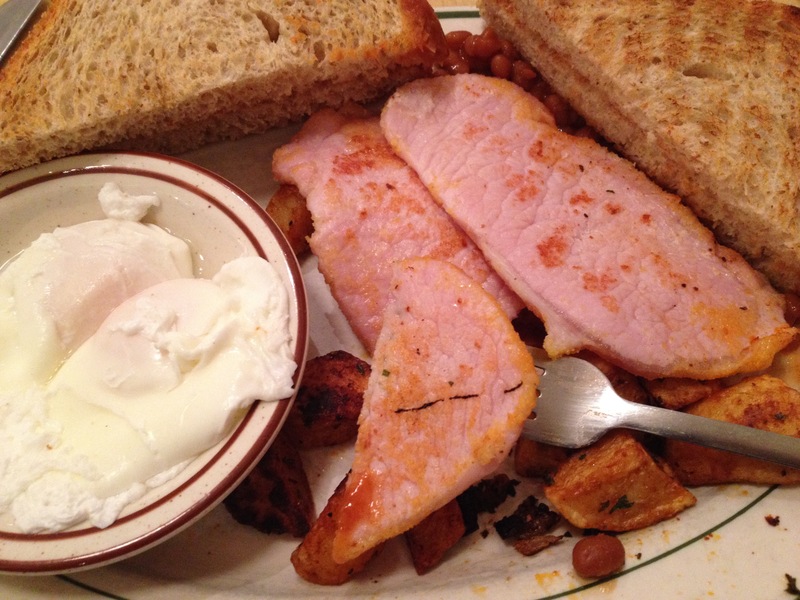 No trip to Canada is complete without peameal bacon or as American’s call it: Canadian Bacon. It’s actually a fatty pork loin rolled in ground corn meal (it used to be yellow pea meal ergo the name) and is really delicious! The thing that passes as Canadian bacon in the States has only a passing resemblance to the real thing. The above pictured plate of breakfast goodness was taken at my favorite place to eat breakfast in Toronto the Senator restaurant. 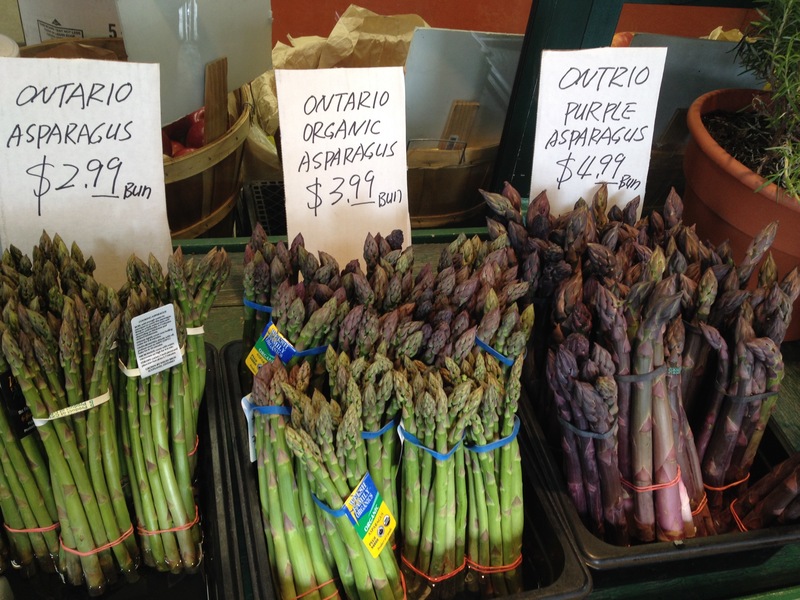 Hamilton is strategically located on lake Ontario not far from Niagara Falls. It’s about an hour drive, not sure how long the boat ride was, but during prohibition this was a busy boat route allowing bootleggers in Hamilton to get their goods to their dry American neighbors. 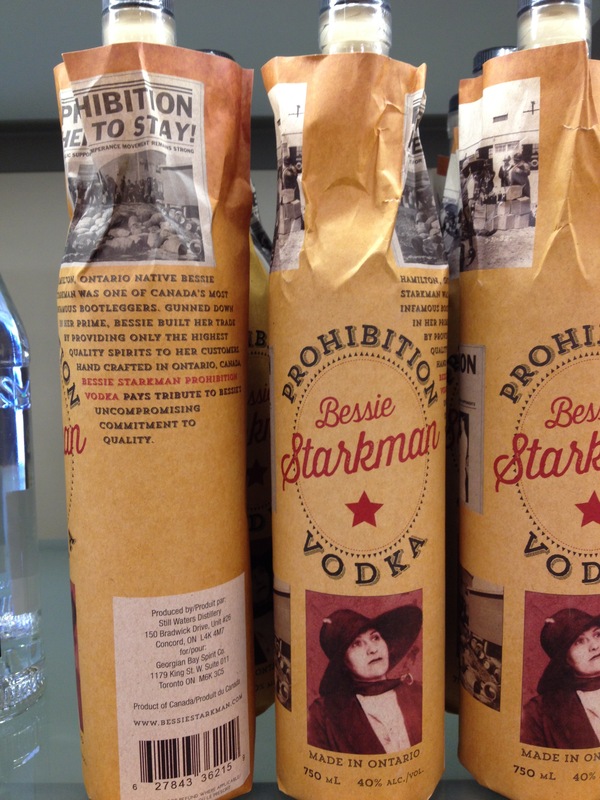 I noticed Bessie Starkman Prohibition Vodka one day while waiting in line at the LCBO. My paternal grandfather died in Barton Street prison. He was a bootlegger, who liked to drink and so did his friends. One night two of his drunk friends got into a brawl over a woman, leading to one of them being beaten to death with a lead pipe. The newspaper reports that when John Owen was being lead away to prison he exclaimed: When I’m acquitted the drinks are on me! Sounds like we had a few things in common 😉 I’m not a big shopping mall fan. The Eaton’s Center was the first big mall built in downtown Toronto, it was a huge deal when it was originally built. Anyway it was near my hotel, I was curious to revisit it so took a stroll through to see how it was holding up. The short answer is: Great. 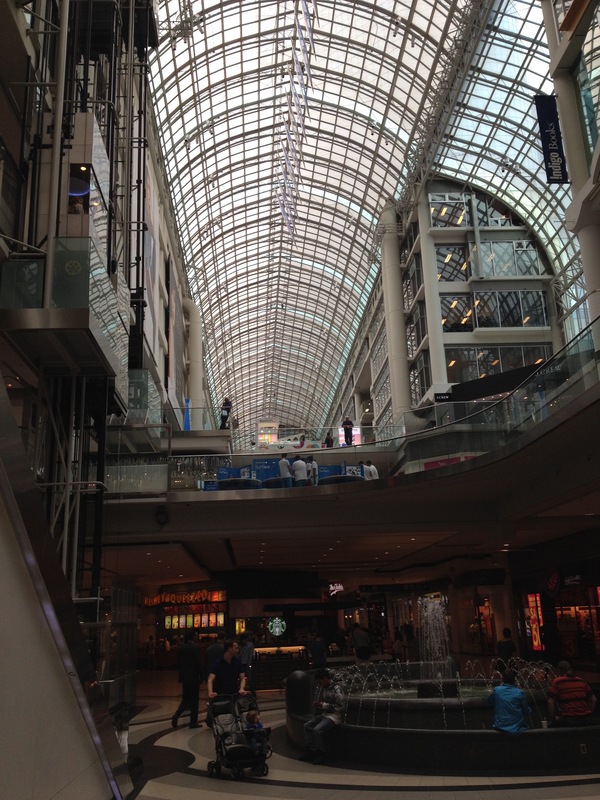 It was a guilty pleasure to wander around this huge mall and ponder: what makes this Canadian? Well there are the Geese hanging from the glass roof and then there were these: One of my favorite things to eat growing up was a Danish called a Bear Claw. It was a flaky pastry filled with dates and shaped vaguely like a bear claw. 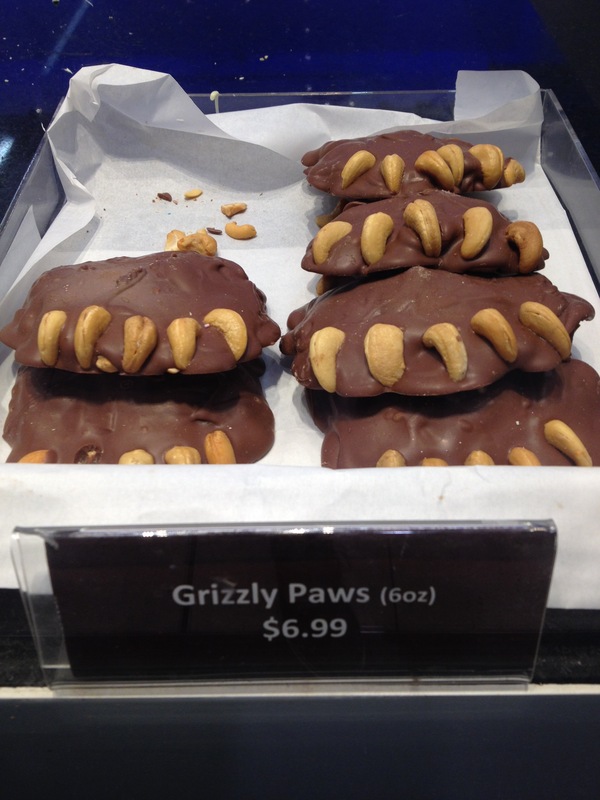 Apparently Canadian’s have thing for bear claws made into sweet confections. The pictures above are local produce featured at Pusateri on Church street a small locally owned store that opened it’s doors in 1966 and was place I used to get my weekly groceries when I lived up the street. 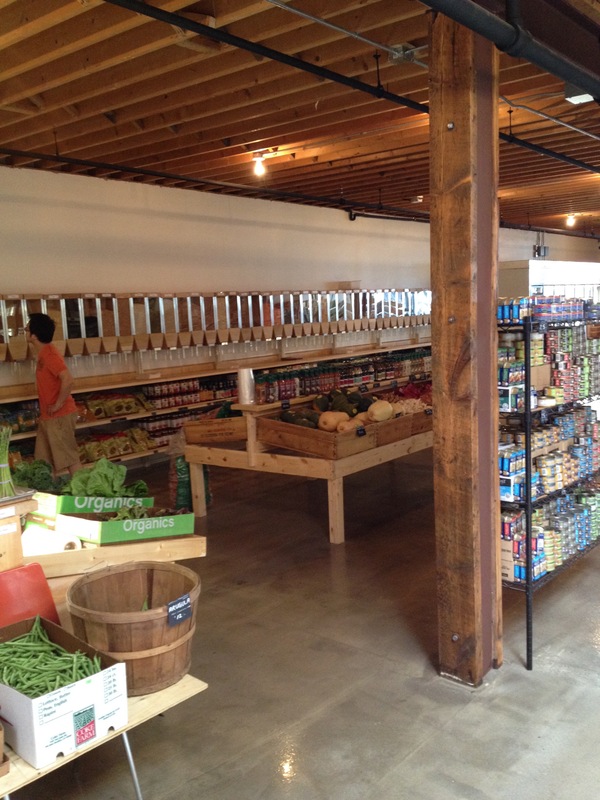 It’s nice to see a small, local grocery store survive and thrive instead of the all too familiar story of them being pushed out by developers or loosing their customers to big mega stores. I had to walk by for old times sake. 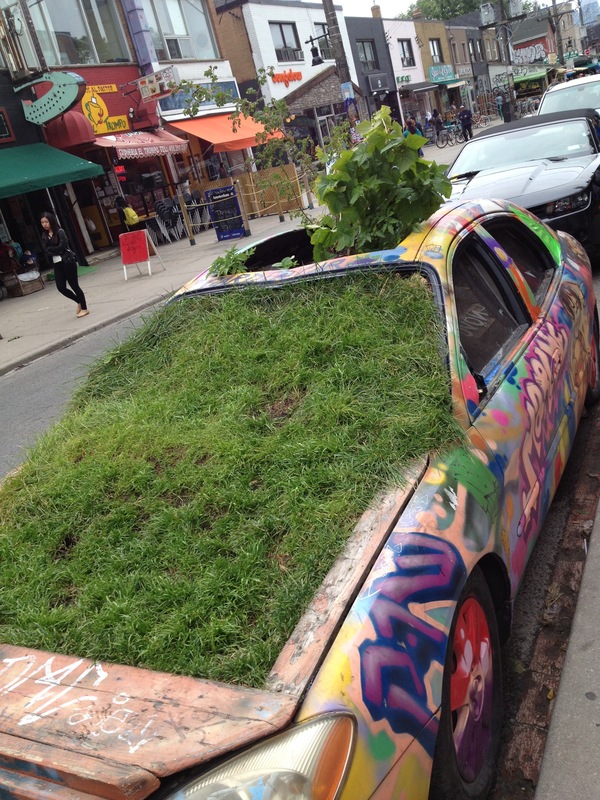 One of my all time favorite places in Toronto is the funky, ramshackle, Kensington Market. Condo developments have taken over pretty much every other neighborhood in Toronto yet Kensington Market has miraculously managed to keep its unique counter-culture charm in tack. One of the best fish mongers in the city Hooked is here, tons of small produce stores, cheese shops, bakeries and butchers still line the street like they did 31 years ago when I first moved to Toronto. 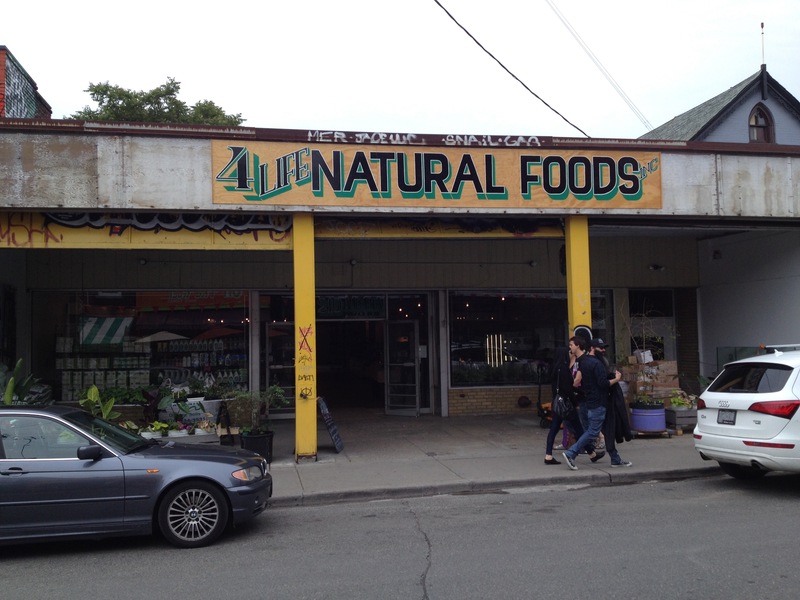 The newest addition is the cavernous 4 Life Natural Foods. They had only been open two weeks. 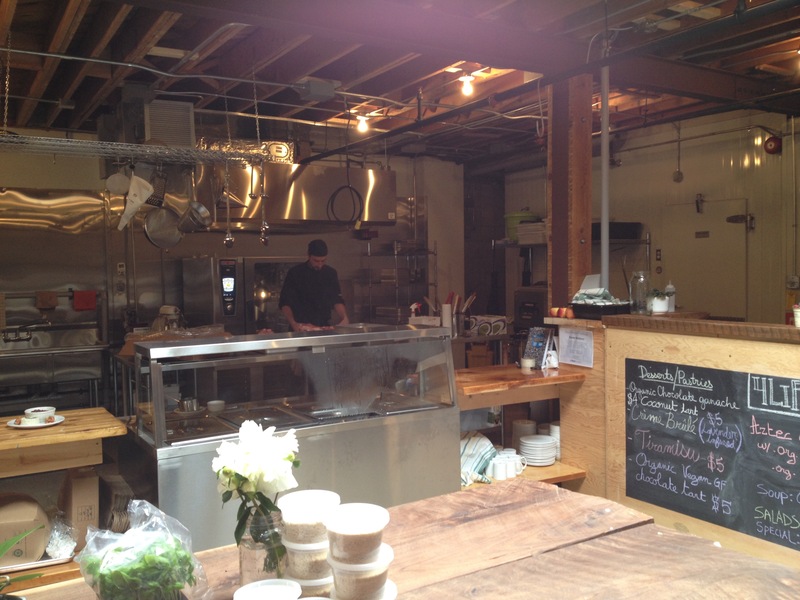 Such a great space, I wish them well and hope to explore more the next time I visit Toronto. 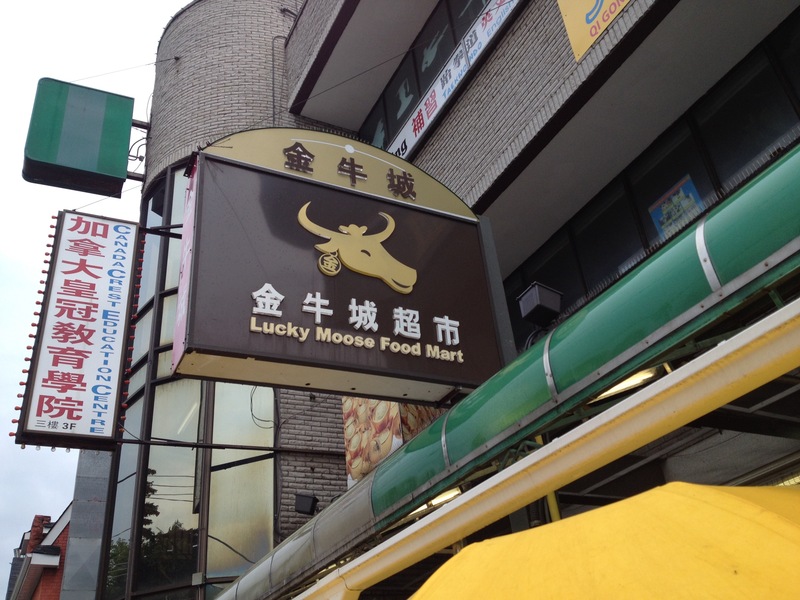 In other random wanders about town I saw in Cabbagetown this sign: I always prefer my vegetarian food pork free 😉 In Chinatown you can shop at this very Canadian store: Lucky Moose Food Mart. 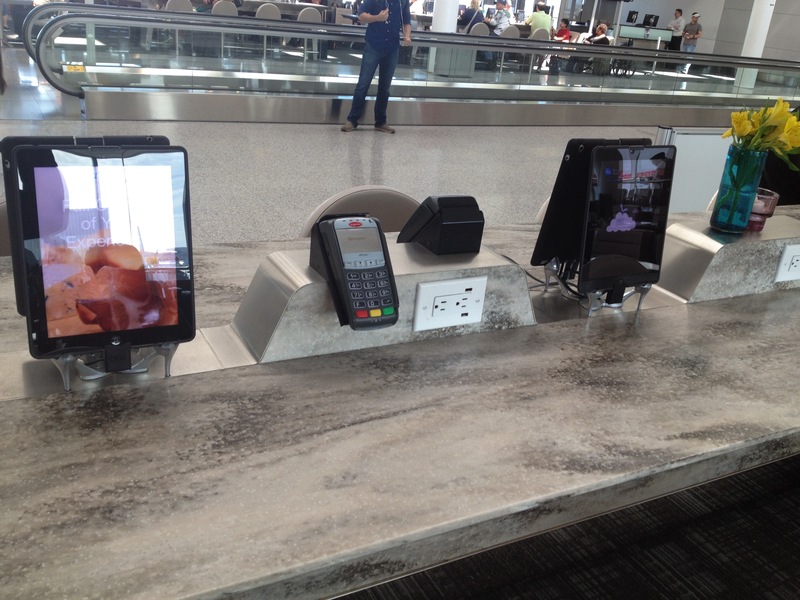 Finally, as I was at the Pearson International Airport, right by my gate I saw, what I thought initially was a high tech restaurant: Tables and bar space with plugs, iPads hooked to the internet and credit/debit card payment machines. 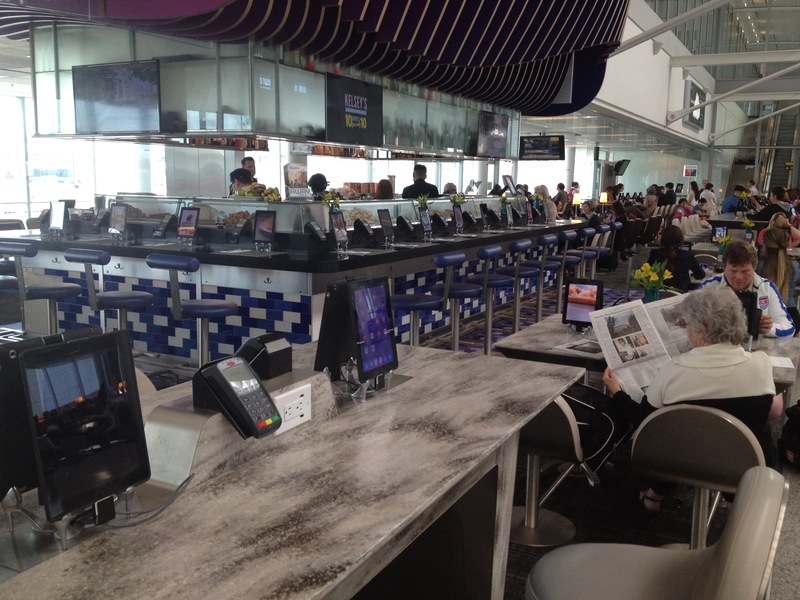 It looked to me like a very industrious restaurateur had set up the perfect situation to make money at an airport. You could surf the web, charge you technology, order directly from the iPad and enjoy a meal or a glass of wine while you got caught up and charged up. It looked like it was all part of a restaurant called Apropos. Then I noticed a sign that said that this was actually an enhanced gate area and that all these cool table and bars were free to sit at and that sure if you wanted to order you could, but no this was just the new way to do gates. The iPads, free wi-fi, plugs were all there for anyone to use. Cool right? JFK, Laguardia, Newark what are you waiting for? Thanks for joining me on my walk down memory lane. Glad to be home. More soon. This entry was posted in Video and tagged 4 Life Natural Foods, bear claw pastry, bessie starkman prohibition vodka, cabbagetown, Canada, eaton's center, hamilton, lcbo, Lucky moose food mart, maple donuts, ontario, the Pagoda, the senator, tim hortons, Toronto, toronto pearson airport. Bookmark the permalink. We were just talking about Toronto last night. It’ll always be our honeymoon town. This time last year Skip, Molly, Richard, and I were exploring the lovely town, girded with your excellent food suggestions. We loved The Senator so much we went back twice. Glad to see this travelogue! I will be exploring Toronto tomorrow with my sister-in-law who is visiting from Mexico City. 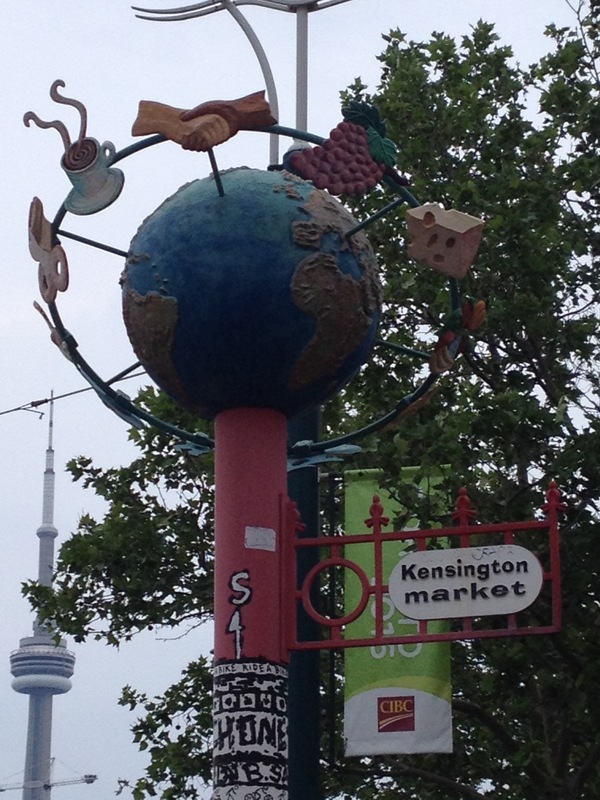 My walk down memory lane will also include Kensington Market. I remember, as I’m sure you do, when you could buy live pigeons, rabbits and hens outside the butcher shops. I’m not sorry they are gone but it was a different time, verdad? I remember the fresh Killed Chicken place on Queen West that’s now a hipster shopping mall. I still think that Kensington market has managed to retain a feel of authenticity unlike most of the rest of downtown which become one big ugly condo. I was only in town for a whirlwind, but promise next time I will make some time and we can hang. Enjoy your visit with your sister-in-law!